Another month has literally come and gone, so it's time for Ten Things to Smile About! This is a monthly meme I host (usually the closest Tuesday to the end of the month-often the last) where you can look back and find things that made you smile. I started this meme after a really hard month where I need to refocus and find something good. So grab the button and link up- it makes me smile! Oh and I just realized I started this meme- at the end of April two years ago!! 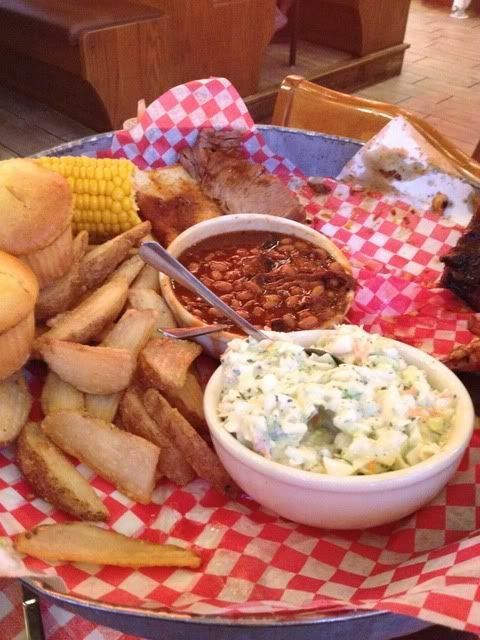 The Feast from Famous Daves-meat was missing in pic as it was already on our plates! 3. 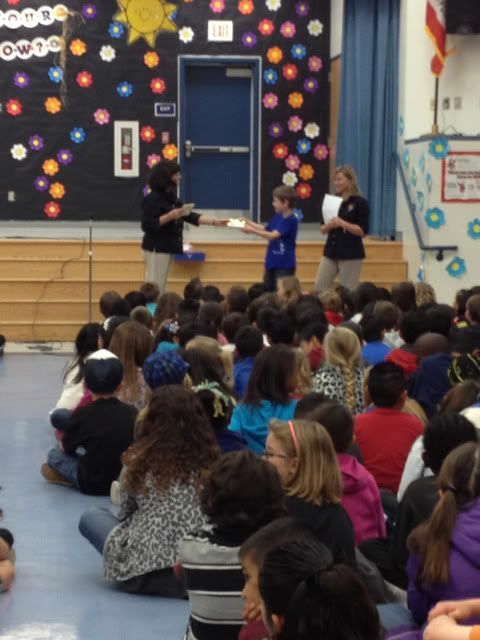 Lucas being student of the month! 8. Being told by my daughter I should just be grateful I have legs- it's pretty funny now. 10. Pirates in the house! So what made you smile this month? Can't wait to see your lists! UPDATED: Sorry linky wasn't working-- using this linky again today instead. I envy your laundry room. I have a laundry closet...no room for decor! Love Love your ten things. Made me smile too! Those are great things to smile about. That picture of Alex is pretty cute. I love her "argh!" face. Definitely good things to smile about. I love the laundry room decor. What a great idea! Linky tools has been a pain for me lately, too. Yum your food looks delicious, I am starving. That is still too cool that Lucas got student of the month, I can only imagine how proud you are of him! I made a joke to my friend the other day about my son going through the terrible twos the second he popped out! Adorable pictures, aren't messy faces the best! Great month for you and the kiddos! Nice shoes gal! Not only did all those make me smile, but they made me giggle!! Messy face pics are the BEST!! I'm in love with those shoes. They are super cute! I have a pair that are a little similar but they rubbed a blister on my toe. 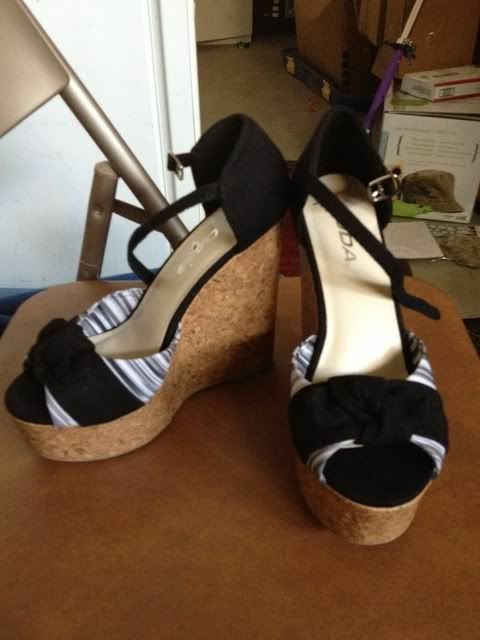 Who knows if I'll wear them again but they are super cute! Ps. I'm glad you have legs too!!!! You know I love your linky party!!! I like the pirate! Cute pics. And such a fun month! Love those shoes!!!! Super cute. Those are are some awesomely cute shoes.... I would be so worried I would fall but then I don't wear heels that often. 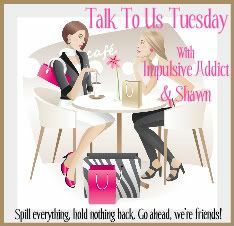 I think I love the idea of an afternoon date!!!! Everything on your list made me smile :) I really love your laundry decor! Another great list- here's to a wonderful May! I just caught your laundry post too, lol! I don't mind laundry, it's a grocery shopping that drives me nuts... probably because I don't like to cook either. I made it!!! I always enjoy your reasons to smile!! Sorry I'm a tad late-- I'm having to use actual bLOGGER to upload my posts and it takes FOR+EVER!!! xoxo!! 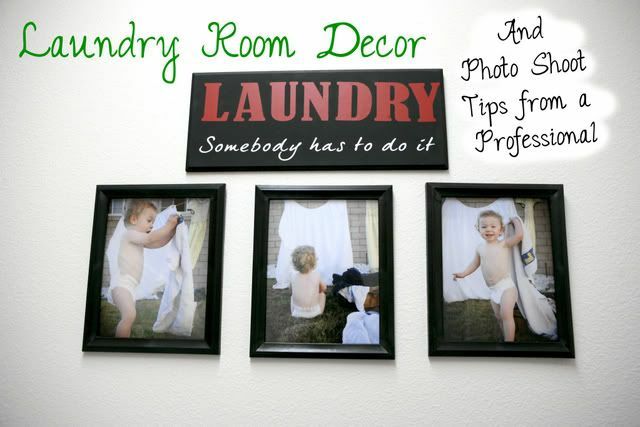 I've been wanting to do something with my laundry room, as I DO spend most of my time there. Very cute! 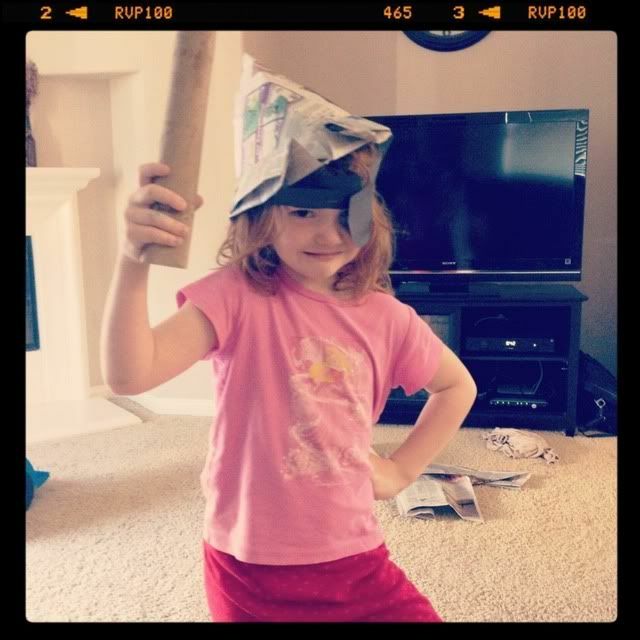 All adorable things to smile about !I love a good pirate in the house and a good messy face! Lots and lots of things to smile about. I love it. I should really link up with you sometime! Love your pictures like always and cute shoes! One day I'm going to link up with you on this. As soon as I get my act together. Don't hold your breath though, it may be a while before that actually happens. Just have to say I really enjoy your blog. 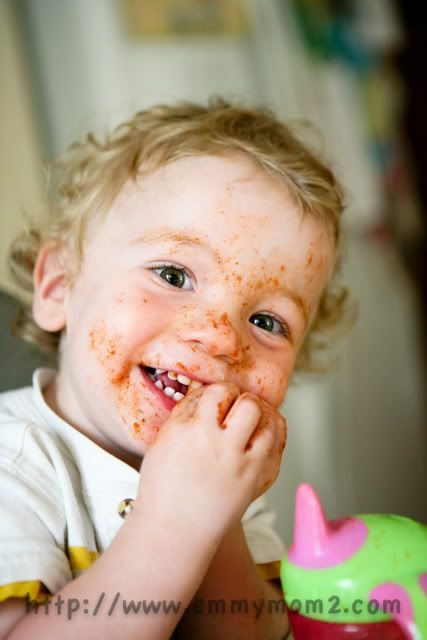 I loved your post about your third child, getting messy in his high chair. I had my first baby 8 months ago, so it's good to know I might ease up as more hopefully come along! What great things to smile about! 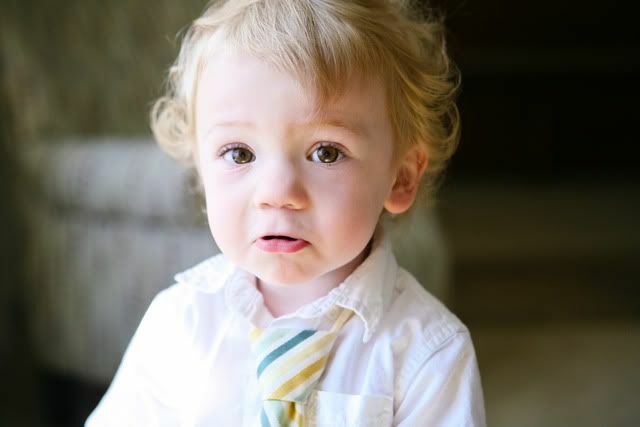 Your little guy in the tie... be still my heart he is adorable!!! What wonderful memories and pictures from the month! How cool is must be to have a pirate in the house. You should be glad you have legs so you can wear those cool shoes!! Ryder is so so cute! I love your smiley list! I REALLY love me some Famous Dave's! And I triple heart love those shoes! So freakin' cute! !